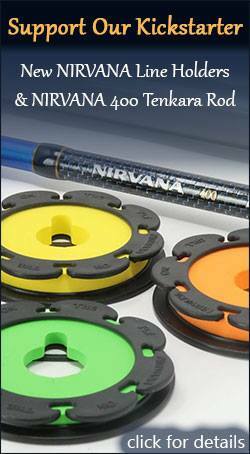 Tenkara line spools seem simple enough. After all, they’re basically just spools. And this might lead on to believe that they’re all pretty much the same. But I’ve found that some actually better than others. 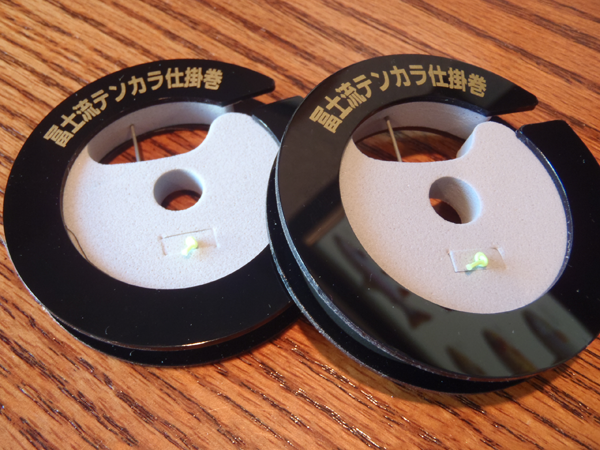 I’ve mostly been using spools from Tenkara USA and Leica and have been very happy with them but when I saw these Nissin line spools on eBay, the gear junkie in me just had to try them to see if they were any better. The Nissin (pronounced “knee-sheen”) spools are made of foam sandwiched between two, rigid plastic discs and like most line spools of this construction, float. One feature I immediately liked was the metal rod inside the spool that holds fly in a cavity in the foam. This prevents the fly from being crushed when being stored. 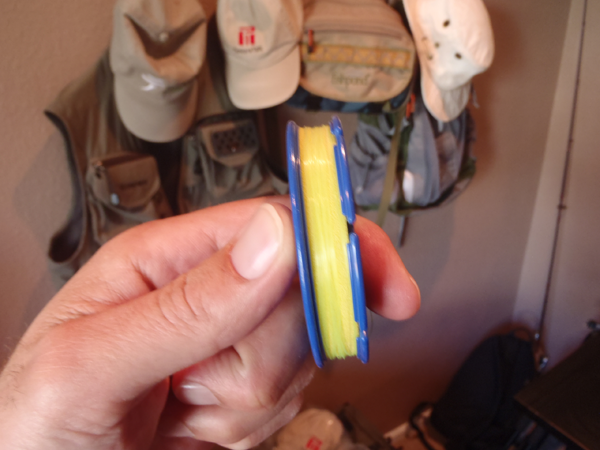 The Leica spools have this as well, but one nice addition is a channel that is cut from that cavity to the edge of the spool which guides the tippet out and facilitates winding the line. 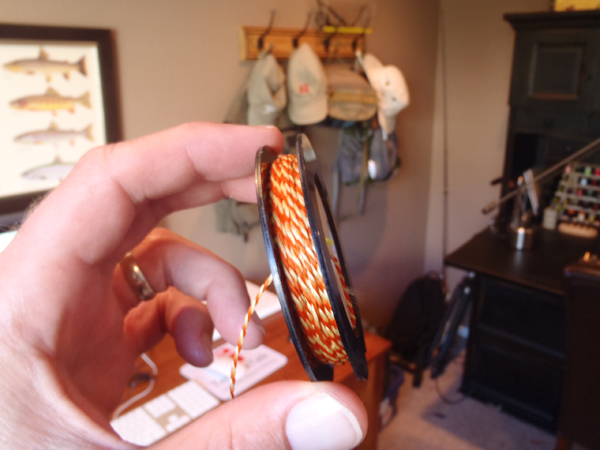 Other spools force you to make a somewhat awkward catch in a notch perpendicular to where the fly goes so I really liked this feature. 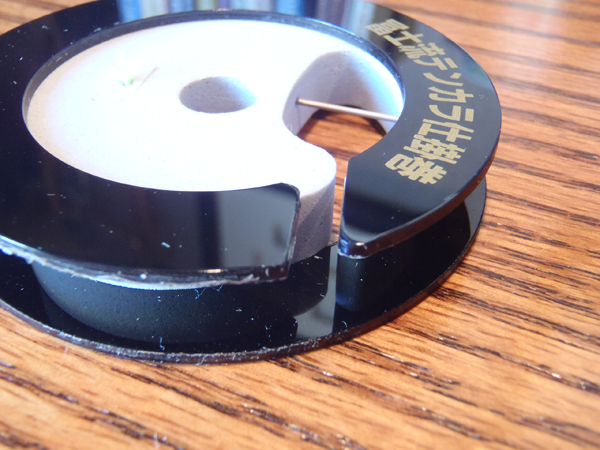 Unfortunately, it’s the only feature of the Nissin spool that I liked. One thing that I suspected before they arrived (and confirmed) was that the center hole is to small to pass a rod through. I normally carry my spool on my rod this was so that was kind of a deal breaker. I know, I know. You’re going to say that you could just make the hole larger. And you probably could. But for the price, I don’t think you should have to modify it. Plus, there are too many other things I just don’t like about the spool to make it worth the effort. It boggles my mind why they would use this design. First, it requires dexterity that won’t be too fun with cold, wet hands. And second, the foam block is so tiny and light, it would be extremely easy to lose, leaving you with no way to secure your line. It would have been better if they had just used notches like other designs. But guess what? No notches! Again, I could probably make my own but why should I pay more for a spool that I’d have to modify to work well when cheaper spools work perfectly out of the box? Overall, I was disappointed with this design. I wonder why people use them. If you have used this spool and I’m missing something or completely misunderstanding how to secure the line, please let me know. 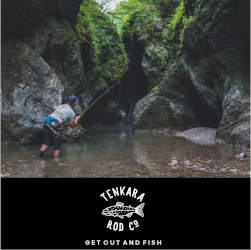 Until then, I’ll remain astounded how a company that produces such great tenkara rods, could put their name to such a sub-par design. Interesting review. I’m waiting on a few of them myself as I like that I don’t have to bend the line over when wrapping. I’ll have to update when I get mine in hand. Craig, please let me know what you think. 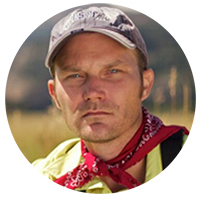 I’d love to get another angler’s perspective on them. Hoping by the end of the week how long did it take for yours to arrive? I just ordered mine early last week. Thanks for the review! Primarily because you solved the mistery of how to secure the end of the line. I bought one set when I was in Japan and very quickly found the design of it awkward, so I didnt spend much time on it at all. Mine took about ten days from Japan. Also, the edges on mine are kind of sharp. Not a good design all around in my opinion. 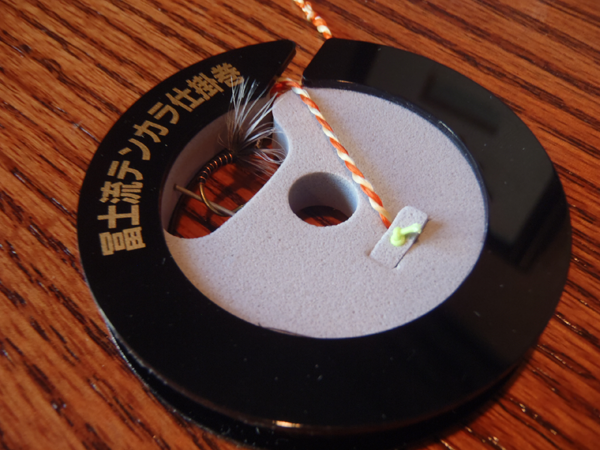 After using the spool that Tenkara USA sells I found that the hackle on the exposed fly gets smashed and distorted if you store the spool in your waders pocket or backpack. 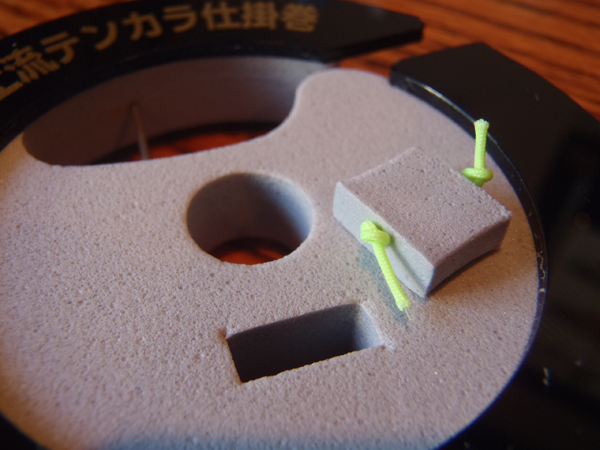 I was hoping that the Nissin design would be a great solution with it’s recessed fly holder. But the detracting features that you pointed out were a great help in my deciding not to purchase the Nissin spools. If you know of any other spools available that protected the fly I would love to hear about them. Scratch that last question, I just noticed the Raji Leica spool that you did a blog on. Very good review. They look very cool, but the functionality seems to be lacking. I probably would have purchased one before reading your review. Joe, I’d say save your money. They do look cool from afar but are not worth the price of shipping once you get them in hand. T-USA spools are way better IMHO. Finally got mine in today and will get them out tomorrow to see how I like them. Overall design looks great but I will check out use ability when I get out. Also on that mine seem to be a bit more polished and not so sharp edges but I haven’t looked at all of them yet. Got mine out and I really like the way it is setup. I bought 3 packages so 6 total and I do have to say some are cleaner finished then the others. As for the small hole that isn’t a big deal for me as it doesn’t take that long to slip the line off. Yes, the edges on mine were pretty rough. Could have just been a bad batch. So I have been using these for a couple of weeks now and they are absolute garbage in more ways then one. 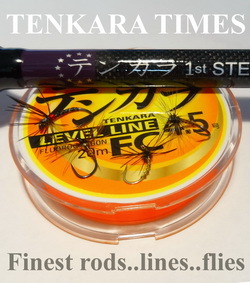 I just ordered some of the larger blue ones from TenkaraUSA though I will keep my eyes open for others to try in the future. unfortunately I hadn’t seen your post before I had ordered them. LOL Oh well they look nice for display purposes. I saw this post. 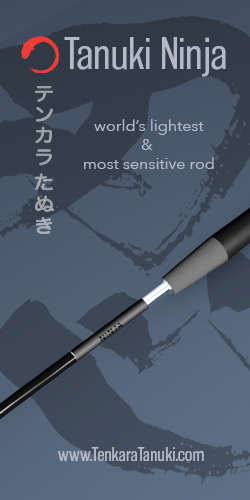 I just recently purchased a Suntech Kurenai rod H30 for small stream fishing. I was trying to find line spools with a small hole like the one here in your post. This style rod does not have a cork handle , so i was trying to find spools the would fit snuggly when carrying it from spot to spot. That rod doesn’t have a cork handle but it does taper pretty sharply at the grip. 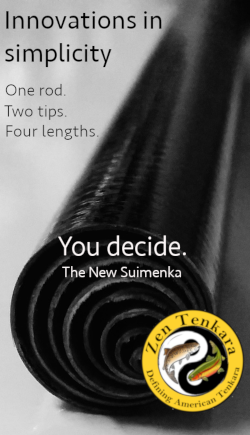 Seems like most tenkara spools would fit, no? Which ones have you tried?